Stylish offices available on flexible terms for your convenience! Quality, newly refurbished serviced offices is available in this stylish complex, available on flexible terms for your convenience. Only 5 minutes walk from Three Bridges Mainline Station and 5 minutes by Road to Crawley Town Centre and Gatwick Airport. The premises offers on site parking and 24 hour access amongst other facilities. We have a total of 30 serviced office units which are able to cater for 2 up to 9 workstations and offer excellent value for money. 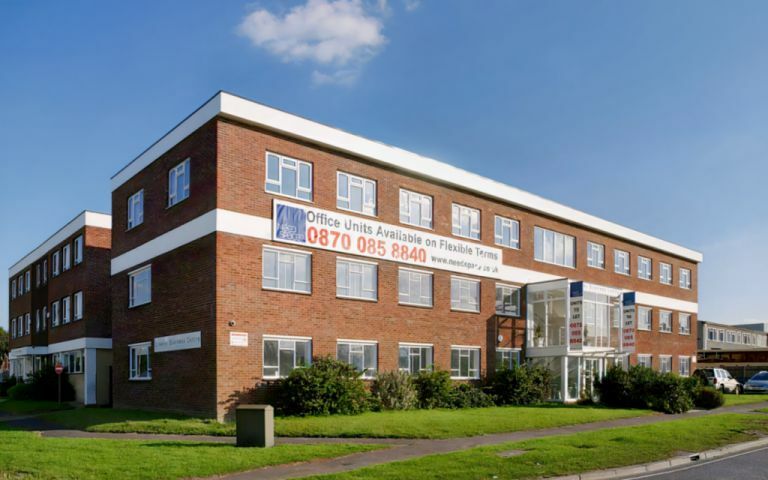 The Crawley serviced offices are situated at Stephenson Way off the A2220 Hastlett Avenue. Three Bridges Mainline Station is within 5 minutes walk with a journey time to London of just 40 minutes. Crawley town centre and Gatwick Airport are just 5 minutes by bus. Local amenities including banking, convenience store and newsagent are all within 5 minutes walk. These fully serviced offices are housed within a prominent building that offers an impressive glazed entrance. Offices benefit from plenty of natural light, onsite meeting rooms and breakout areas.